…Christ willingly embraces both our cross and our crucifixion. He does so freely, out of love. Why he would do this is a mystery so great that it is incomprehensible when looked at from a paradigm of justice. We can only begin to understand it when we look at it through eyes of love. When I taught high school, I would often ask my students what should be done about a society that was officially instituted to provide for the common welfare of its members, but in practice, systematically took advantage of one of them. The exploited person was always expected to eat cold food, take cold showers, and wear old clothes, so that the others—who rarely showed appreciation and regularly showed contempt—could have the best of everything. The thing is, most moms, like Jesus, aren’t motivated by justice; they’re motivated by love. This means they find happiness in making their loved ones happy. A good mom is more than willing to deprive herself for her children, but even a great daycare worker will strike if you try to make a mother’s level of commitment into the standard employees are expected to meet. Love is the only thing that can make sense of sacrifice. The only right response to sacrificial love is love. We show our love and gratitude to Jesus by keeping his commandments, including the one with which I started this post. Here are some things to consider as we try to follow the way of the cross. The rest of his essay is just as good. I especially like his reminder not to drag our cross, but to bear it cheerfully. I find myself dragging mine from time to time, so this was a great visualization and nudge. Read the rest here. It’s been awhile since I’ve seen any good news coming out of Hollywood, so I was pleasantly surprised to find this gem of an article linked over at New Advent. The Irish actor Pierce Brosnan, known to many as James Bond (and to me as Remington Steele), openly shares his faith with an interviewer, attributing good in his life to God and telling how his prayer life sustains him. He credits his Catholic upbringing. In an interesting new interview with RTE.ie to promote his patronage of the new Irish dramatic art academy The Lir, which will debut this fall at Trinity College in Dublin, Brosnan credits the power of prayer with guiding him through life’s ups and downs. “(Prayer) helped me with the loss of my wife to cancer and with a child who had fallen on tough times. Now prayer helps me to be a father, to be an actor and to be a man,” Brosnan told the Irish website. Pierce’s first wife, Cassandra Harris, died of ovarian cancer 20 years ago. The son they had together, Sean, was in a serious car crash a few years back in California, but luckily he survived and is thriving again. Brosnan and his mother left his hometown of Navan, Co. Meath in 1964, when he was 12 years old, for greener pastures in London. His father left the family when he was only two, so times were tough. “In a way (my life) all leads back to a little boy in Navan, my home town on the banks of the Boyne. 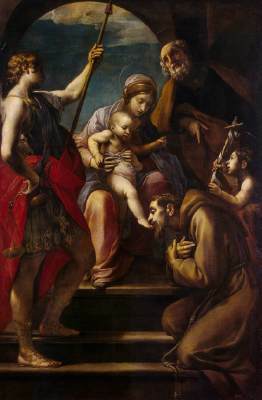 Sometimes, it has been painted in melodramatic tones but it was a fantastic way to be brought up. The Catholicism and the Christian brothers, those are deep-rooted images and the foundation for a person of some acting skill,” he says. Brosnan also feels that faith will help the Irish people escape the gloom and doom of recession. Aggie Catholics has posted a video that is awesome-epetus! It’s has a trio of favorites of mine: the fantastic musician Matt Maher at Franciscan University joined by Dr. Scott Hahn, making a guest appearance on guitar. Of course, my readers already know that Dr. Hahn plays guitar. Michael Barber told us. Did I mention that it is awesome? Many babies died to get this picture. IVF. In vitro fertilization, also called artificial insemination. The joining of an egg and sperm in a laboratory, creation of life in a test tube. For some, it is a miracle. They wonder at the majesty and brilliance of the medical profession, the advances man has made and exclaim what good man can do. They forget, ignore, or willfully deny that man can do no good without God for God is the source of all good. Our civilization is baking the bricks of our own technological Tower of Babel, and when we reach the top, when the medical community solves the riddle of life, we won’t need God anymore. We’ll be like gods ourselves. From UK‘s Daily Mail comes this priceless story of a 58 year old single woman who through IVF now has twins. That’s her in the picture above, holding one of the children. This story exemplifies all that is wrong with the western society’s brave new world of medical and technological advances. Without moral grounding, you get this sort of thing. 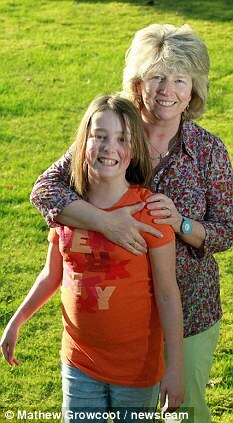 To sum up the story, 58 year old Carole Hobson, a lawyer, decided that now that she was in her 50s, she wanted a child. She admits never wanting one before. Her boyfriend of eleven years felt differently. So she ditched him and started her quest to get her some kids. This involved an egg from India, sperm from Scandinavia, 5 rounds of IVF treatments, one abortion, £20,000, a team of National Health Service medical staff (paid for by British taxpayers), the birth of twins and the hiring of a fulltime nanny. So single senior citizen gets her brand new kiddies with national healthcare, goes back to work and drops off the longed-for children with the college student who is going to raise them. Sounds like a very happy ending, right? But it’s early days yet and, to be fair to Carole, she looks far less frazzled than I’d expected, given the demands of twins. She seems to be incredibly well and has a calm, loving commitment to her babies — but it’s hard to detect any sign of euphoria. She was admitted to Medway Maritime Hospital as an emergency on December 17, suffering from pre-eclampsia and a winter respiratory virus. The decision to deliver the twins was made on Christmas Eve after Carole’s liver and kidneys started to fail. ‘Half an hour before the Caesarean, I was shown around the neo-natal unit where the twins would be taken after their birth and that’s when I sobbed my heart out, thinking: “What on earth have I done?” ’ says Carole. No, she didn’t do the right thing. She did a very selfish thing and has brought those children into a life in which there is no father or mother, their legal mother may die before they even come of age and her plan is for nannies to raise them. Those poor kids. And I note that it is a funny time for her to wonder what her babies have to do to survive, given all that they had done to survive up to this point. She had been pregnant with triplets but chose one to murder in the womb. That’s called “a selective abortion” and is so frequent in IVF pregnancies that not having one or more abortions is rare. So both of these twins had already survived one of her choices. And these babies were born on her 5th round of IVF, meaning that literally 20-30 babies had already died prior to their arrival. So dozens of dead babies preceded these tiny twins in life. What drives a person to such lengths? Well, selfishness mostly. It sounds to me as if Carole is greatly in need of love, a relationship with God and forgiveness, as her life decisions seem to be on a path of increasing destructiveness. She described to me the extraordinary lengths she went to in order to achieve her goal, batting away any criticism of her quest for late, single motherhood with clear-headed logic and well-rehearsed argument. She explained how it wasn’t until her late 40s and early 50s that — having lacked all maternal instinct in her 20s or 30s, while she forged her career — she came to bitterly regret her childlessness. Her then partner of 11 years, a geologist, was not keen on the idea, so Carole decided to go ahead alone, effectively sacrificing their relationship on the altar of motherhood. 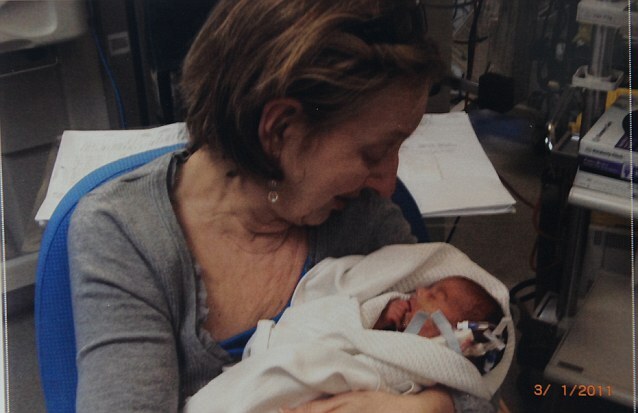 In pursuit of doctors who would help her, Carole travelled from Kent to the Ukraine, back to London, to Cyprus and finally to a fertility clinic in India — which treats women up to the age of 63 — where her fifth attempt at IVF proved successful. ‘I felt incomplete without a child,’ she said, explaining that she went to India because of shortage of egg donors elsewhere. Sin is like this. We get embroiled in a few sins and before you know it, we have lost our relationship with God. We may search to replace Him even. I think that’s what happened here, with the helpful assistance of the Tower-building medical community. Why didn’t someone say no? Cause medical professionals are builders not moralists or ethicists. Why does the Church teach this? Is it because she is out of touch? Is it because she is run by a bunch of old guys who have no idea what desire feels like? Is it because God hates us and wants us to be disappointed, frustrated and miserable? No. No. No. It is because of love. God will show us the path to life. Christ our Creator and Redeemer has compassion for us and God forgives. I am praying that this mother who is realizing the repercussions of her monumental decision, will find in her disappointment, fear and difficulty that God loves her and her children and wants her to choose Him from now on. This is a moment that could change this woman’s life. We all have these moments and we know as believers that God takes the fruits of our selfish decisions and works His plan through it. Read the full Daily Mail article here. ‘We are doing more harm than good by resuscitating 23-weekers. I can’t think of very many interventions that have such poor outcomes. ‘For me the big issue is that we’re spending an awful lot of money on treatments that have very marginal benefit. This official, we are told, advises what treatments and care should be funded in the West Midlands region. In other words, lives depend on her authorization. And she would “prefer to free up that money” than treating the babies. She claimed keeping them alive is only ‘prolonging their agony’, and it would be better to invest the money in care for cancer sufferers or the disabled. And what might be the ‘prolonged agony’ that would warrant killing these children? Why, “blindness, deafness and cerebral palsy”, of course! What a horrible drain on society are the blind, deaf and disabled. Do you think that Annie Sullivan thought much the same of her student, Helen Keller? That Helen was a drain on the financial resources of her family and her country? I doubt it. Why is this little throwaway article important to us Christians? Because we know intuitively that what this official is suggesting with respect to 23-week preemies is just the latest salvo in the war to drag Western society into a full-blown embrace of euthanasia for the disable, sick and marginalized. The Daily Mail helpfully introduces us to the horrible effects of allowing 23-weekers to remain alive. Meet Molly Griffith. Apparently, The Daily Mail is not fooled by this doctor’s neo-rational argument. Again surprising and delighting this Catholic blogger, the paper introduces us to Molly Griffith, who would ostensibly be the kind of child that Dr. Austin is looking to kill off. When she was born prematurely at 23 weeks, she could fit into the palm of a hand. She is missing a kidney, has epilepsy, and one side is weaker than the other. But the NHS did not have the sort of cost-cutting twelve years ago, and she endured, growing into a happy, energetic and normal child. And if the picture of Molly tells us anything, it is that “lifelong chronic conditions” do not deprive human beings of love, joy, intellect, meaning, and above all, life. Euthanasia does. Notably, the Church of England, bastion of moral relativism that it is, (again) declines to take a stand for life, morality and Christ. Blessedly, The Daily Mail apparently will. God bless The Daily Mail. …having said all that, here is a gem of a quotation I just read (belatedly, it seems). From an article on former MTV reality star and now mother of 6, Rachel Campos-Duffy, it forms the oppositional yet complementary Lenten prayer activity for busy mothers.